Yellowstone bison vacation pictures from our rv camping trip. Yellowstone National Park is a big, beautiful, animal filled park, Old Faithful, and the hot spring portions are worth seeing too. 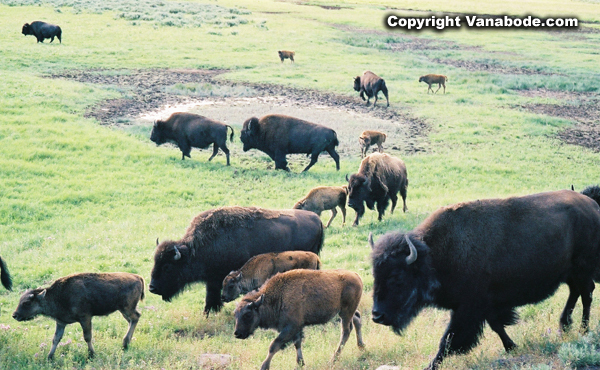 In 1997 the bison count in Yellowstone was 3,500. 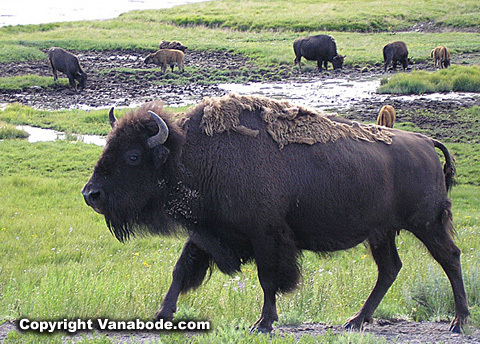 America's most majestic animal, the bison, can be seen running, breeding, bellowing, charging one another, rooting, swimming, and approaching within 15 feet of us. 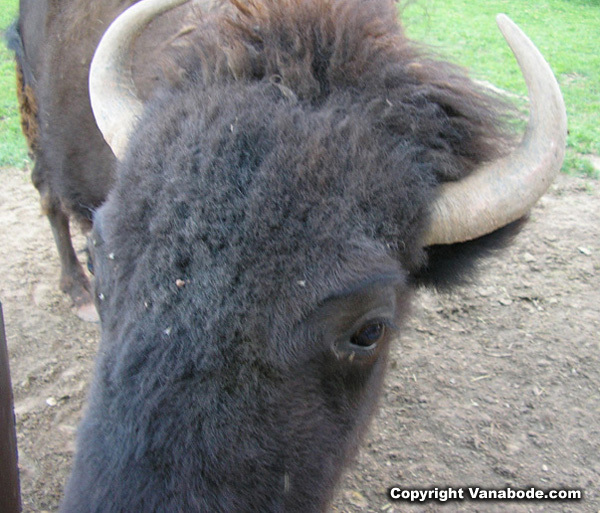 We stopped and watched the bison graze and interact with one another. 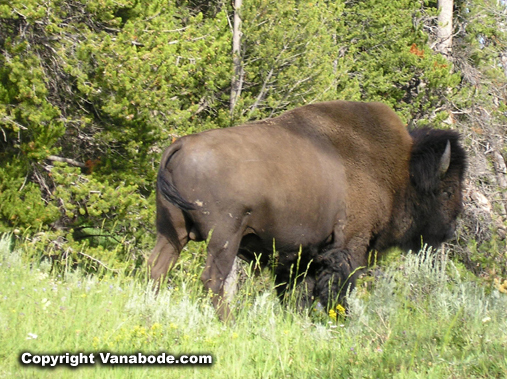 A bison walked right next to the RV. We stuck our heads out of the window and just watched him walk right by as if we weren't there. The kids were building forts in the woods at the Yellowstone RV Park in northern Yellowstone when a 1,800 pound bull bison walked past them. We got all of our bison pictures in Hayden Valley. There is plenty of parking alongside the road to get out and take pictures. And if you just coast at 5 mph no sweat, who can resist rubbernecking for animals. 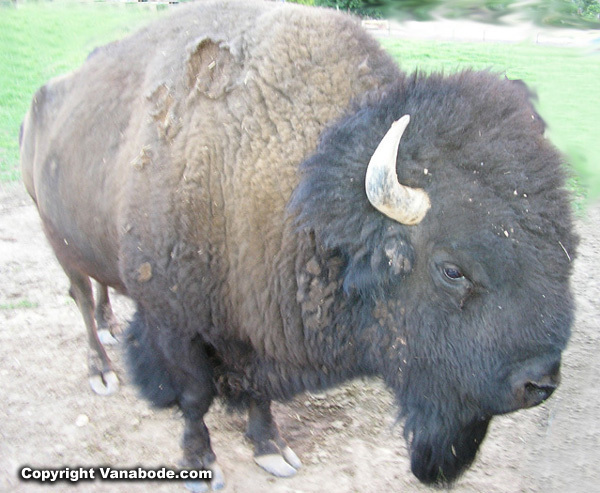 Adult bison bulls may stand six feet tall at the shoulder and weigh up to 2,000 pounds. 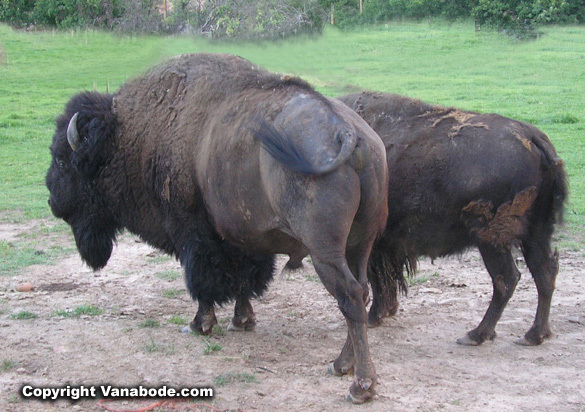 Female bison called cows also stand six feet and weigh about 1,000 pounds but have more slender horns. 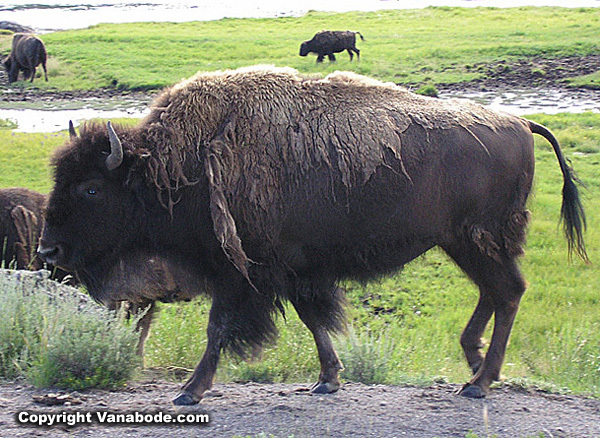 Bison breed from July to August and their calves are born in April and May. Seeing these calves interact with their mother and the herd is exciting but the female bison are extremely protective of their calves. 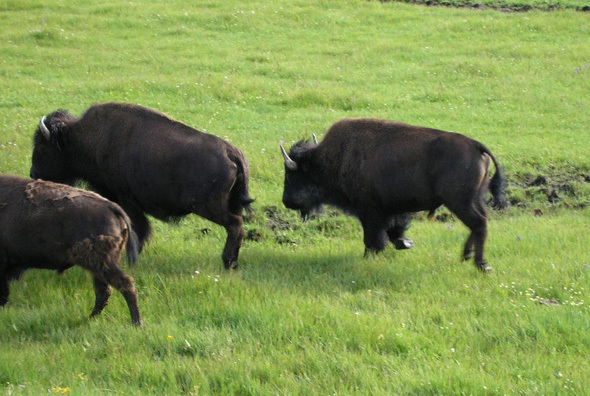 When defending their young bison move with surprising speed for their size, up to 30 miles per hour. And, it is not unheard of that every year tourist get gored because they got too close trying to take a picture or just being foolish. 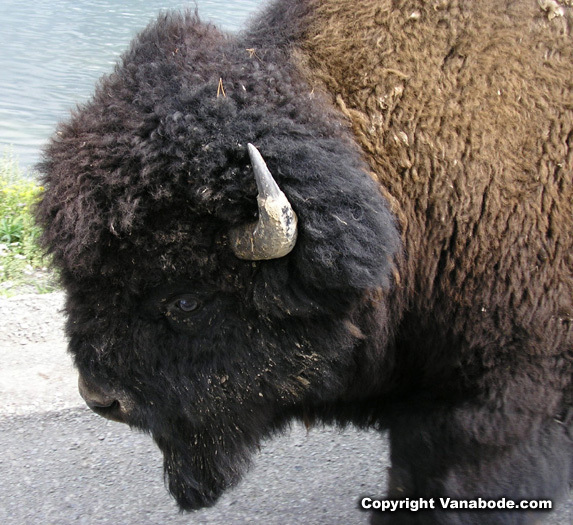 Bison are the largest mammal in Yellowstone. 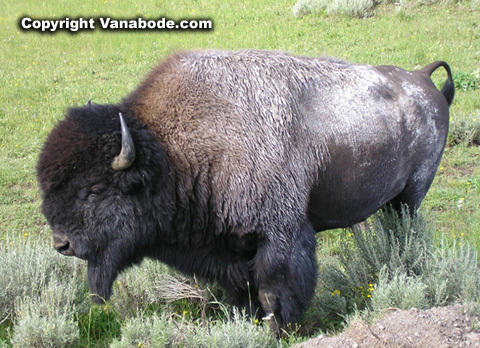 Bison are strict vegetarians grazing in the meadows, the foothills, and at high elevations of the forested plateaus. 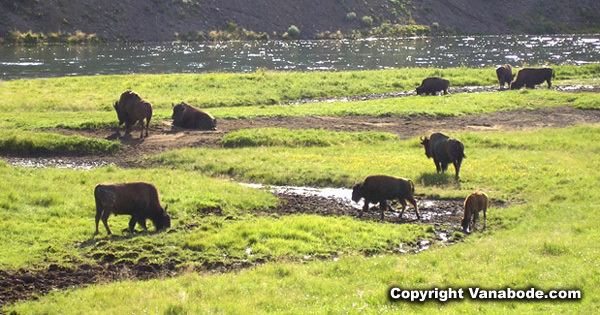 The southern part of the figure eight highway in Yellowstone is where the bison are seen. 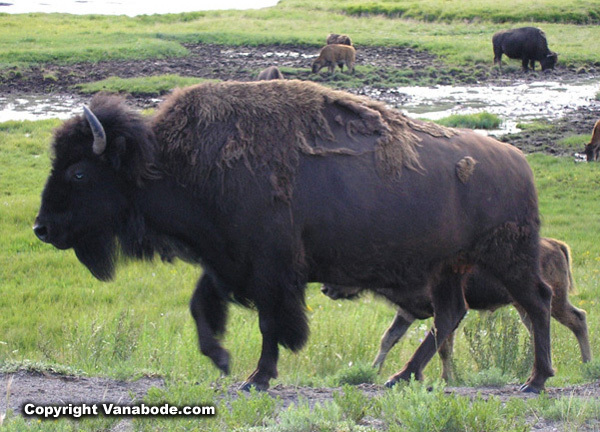 Hayden Valley along the Yellowstone River is probably the best spot to see the buffalo. 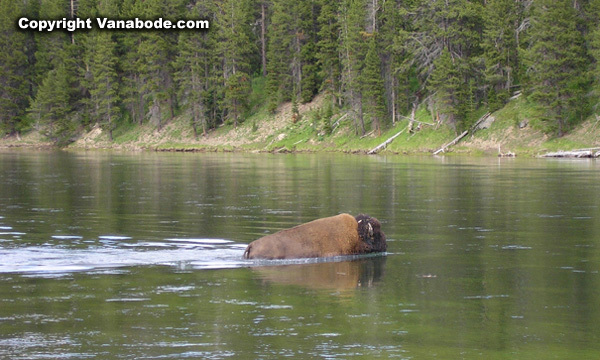 Madison, Firehole and Gibbon Rivers are some of the other spots. and these aren't Florida mosquitoes that drift around lazily and you can walk away from. These monsters literally chase you and you cannot outrun them. Yellowstone is filled with surprises around every corner which makes it the perfect vacation destination. Click here for more Yellowstone pictures. 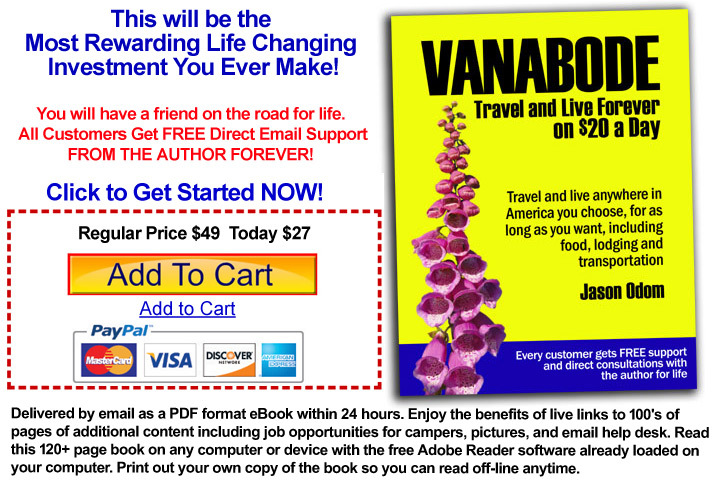 Whether you stay in an RV park, the Yellowstone Lodge or a hotel you won't be disappointed. Map location of Yellowstone National Park.